Find your new space to call home. 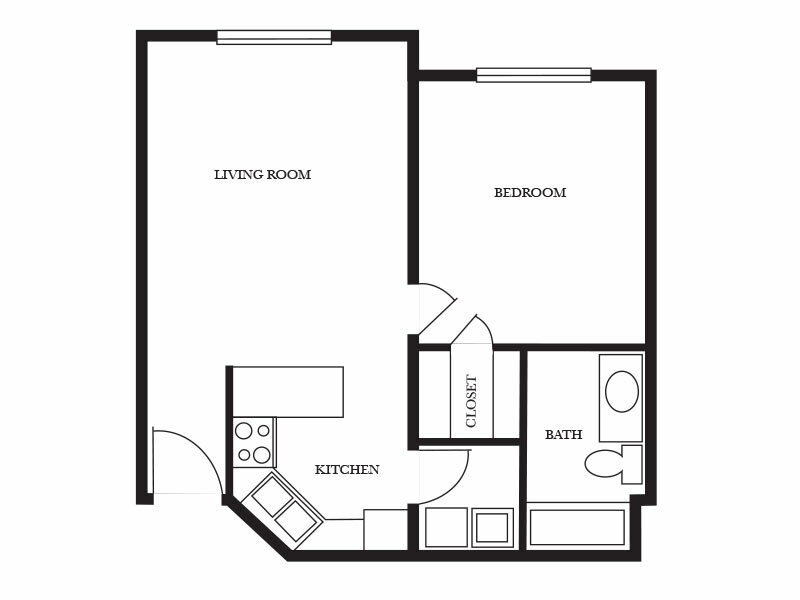 With spacious studios along with one and two bedroom apartments, Regency Retirement Community offers floor plans to meet a variety of lifestyles and needs. 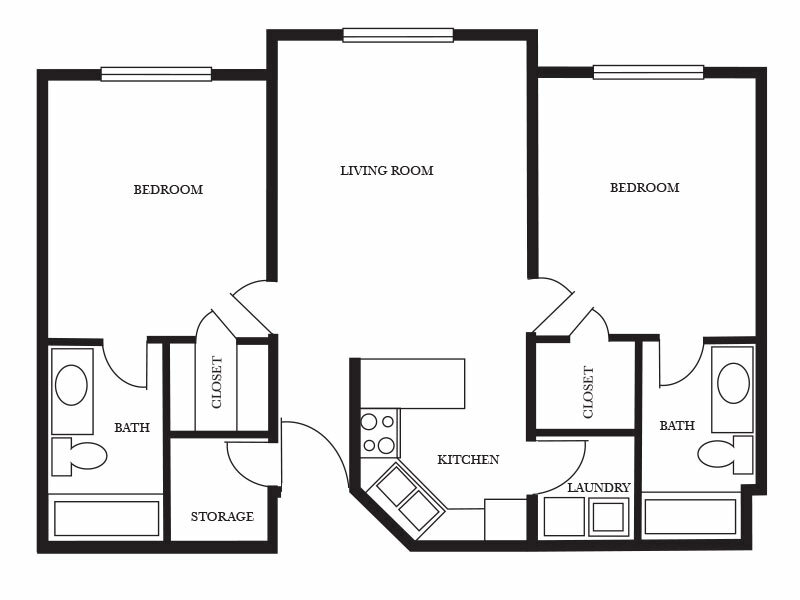 Have a look at our floor plans below. I — 228 SQ. FT. | II — 245 SQ. 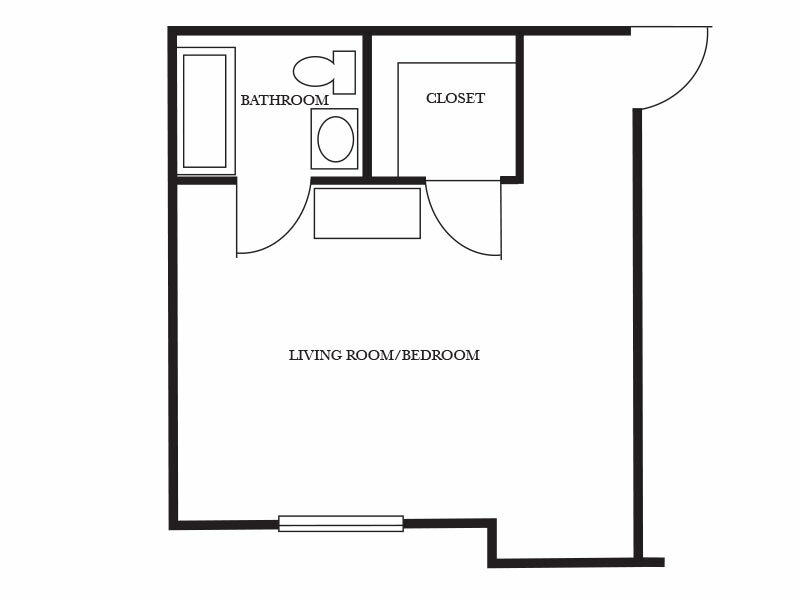 FT.
1 Bedroom — 645 SQ. 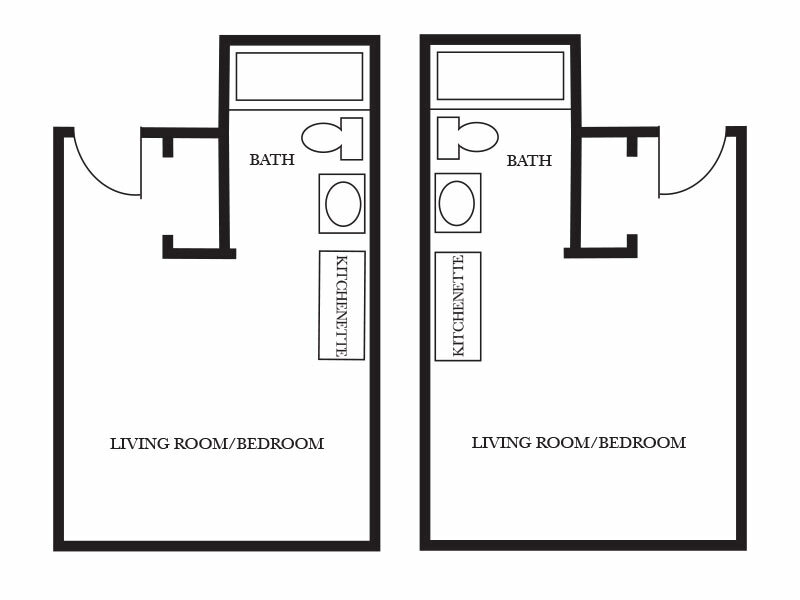 FT.
2 Bedrooms — 930 SQ. FT.